* I have an updated version of this tutorial, if you are interested, check it out here. 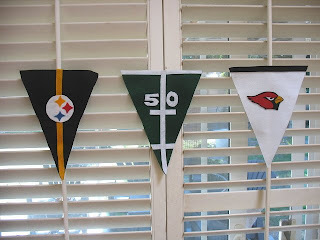 For the past 8 years I've been making these fun Super Bowl decorations out of felt. 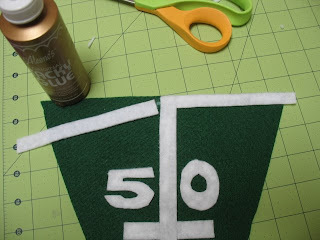 However, the idea can certainly be used for any sports team, theme (including your child's team) or to show your school pride. This year I made the football field and the Cardinals. I already had the Steelers. 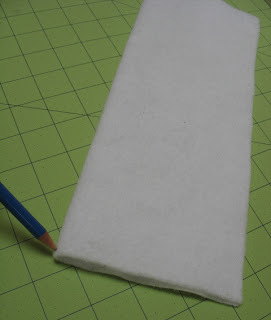 Here's a little tutorial on how to create a banner for your favorite team. 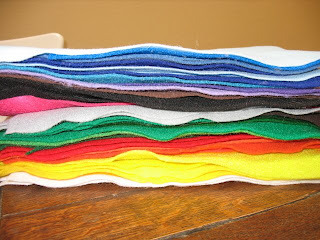 This is my felt pile. I always by the 8 1/2 x 11 sheets when they are on sale. 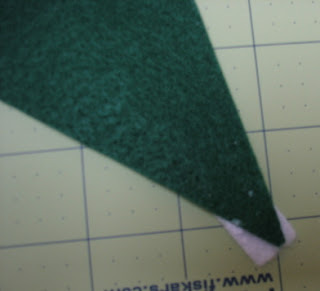 Step 1: Fold the felt in half and mark the center. 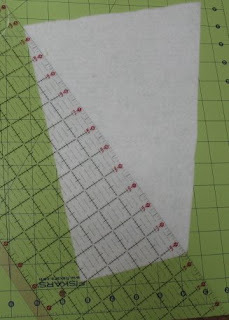 Step 2: Make your background shape. 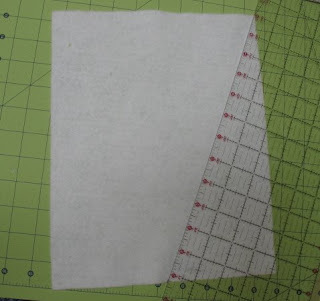 Using a ruler or piece of paper, mark and cut from each of the top corners to your center line. 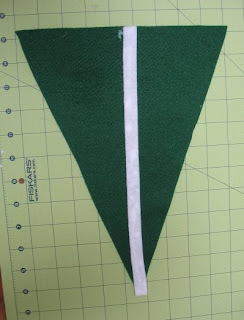 For the field, cut a staight piece and glue it down the center. Don't worry about the bottom part hanging off the sides of your triangle. Just flip it over and trim. 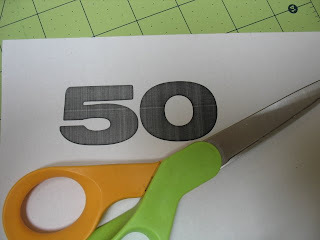 Step 3: Make a template: Print out and cut out your shape. I find images on the internet or make numbers in Word. 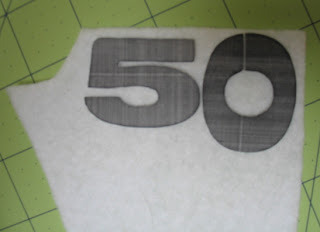 Step 4: Lay your image on your felt and cut around the outside of your template. 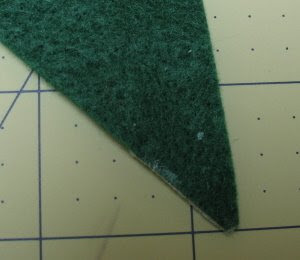 If you are using an image with multiple layers (like my Cardinal), then cut the largest piece of felt first, cut the template down to the next color and continue cutting until all of your layers are cut. Step 5: Glue it down. 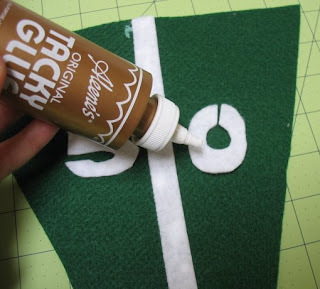 I like Tacky Glue but I'm sure any fabric or Elmers glue would work. Some of the penants have a top strip. For the field I made it in 2 pieces so it would be flat and added a couple field lines. Here they are hanging in my living room. You can email me with questions. Thanks for visiting. Happy Super Bowl Sunday! 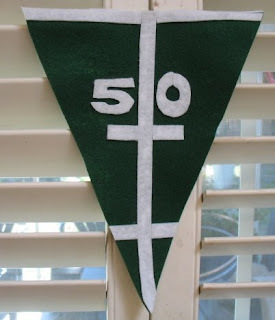 If you make a pennant, please share the link with me. I'd love to see it. Great idea, Heather. Maybe Jacob will make one for his school team. What a great idea! I like that type annual tutorial! Will try it out soon. Thanks so much for sharing. This is fantastic. I six months to start making one before next football season begins. How did you get the team decals? Thank you for visiting my little blog. I don't speek english very well but i want thanks you for your comment. I like your blog and i follow you ! 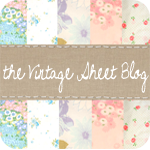 I'm Heather, the author of The Vintage Sheet Blog. I love to make things, bake things, and decorate my home for holidays. When I'm not getting my craft on, I'm at the beach. All content (including text, photographs, and design work) is © Heather Grow. My original artwork is for personal inspiration only and may not be copied for publication or contest submission.